During the khilaafat of Hazrat ‘Uthmaan (radhiyallahu ‘anhu), Hazrat Huzaifah bin Yamaan (radhiyallahu ‘anhu) was sent with the people of Iraq and Shaam to wage jihaad in Armenia and Azerbaijan. While in those lands, Hazrat Huzaifah (radhiyallahu ‘anhu) noticed that the people were disputing with one another in regard to the different dialects of the Qur’aan Majeed. Each group, not being familiar with the dialect of the next, began to regard their dialect to be better, and in certain cases, even denied the other dialect. 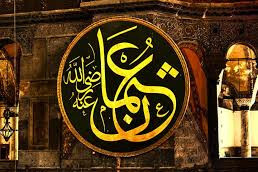 Prior to Hazrat Huzaifah (radhiyallahu ‘anhu) coming to Hazrat ‘Uthmaan (radhiyallahu ‘anhu) with this concern, Hazrat ‘Uthmaan (radhiyallahu ‘anhu) had noticed the very same condition in Madinah Munawwarah and addressed the people saying, “You people are here with me in Madinah Munawwarah, yet you are disputing regarding the different dialects of the Qur’aan Majeed. If this is your condition here in Madinah Munawwarah, then I can well imagine what the condition of the people who are far away from Madinah Munawwarah will be.” Thus, when Hazrat Huzaifah (radhiyallahu ‘anhu) brought the news of the disputes to Hazrat ‘Uthmaan (radhiyallahu ‘anhu), it was not a surprise to him but rather confirmed what he had anticipated. 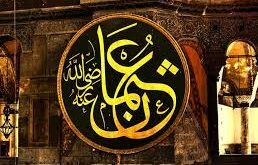 The Qur’aan Majeed which had been compiled by Hazrat Abu Bakr (radhiyallahu ‘anhu) was in the care of Hazrat Hafsah (radhiyallahu ‘anha) at that time. Hence, Hazrat ‘Uthmaan (radhiyallahu ‘anhu) sent a message to Hazrat Hafsah (radhiyallahu ‘anha), requesting her to send the Qur’aan Majeed to them so that they could keep it before them and prepare numerous copies of the Qur’aan Majeed that would all have a standard dialect of the Qur’aan conforming to the original dialect of the Quraish which was revealed to Rasulullah (sallallahu ‘alaihi wasallam). After the numerous copies were prepared, Hazrat ‘Uthmaan (radhiyallahu ‘anhu) sent them to the various corners of the Islamic empire and had all other copies of the Qur’aan Majeed burnt, as it would lead to the Qur’aan getting lost. 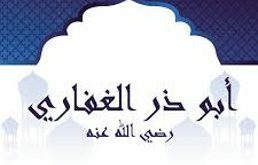 Hazrat ‘Uthmaan (radhiyallahu ‘anhu), with the consensus of all the Sahaabah (radhiyallahu ‘anhum), had all the other dialects burnt, as the permission to recite the Qur’aan in the other dialects was regarded as a concession in deen for those tribes that were experiencing difficulty in reciting certain words according to the dialect of the Quraish. Hence, at that time, Rasulullah (sallallahu ‘alaihi wasallam) granted certain tribes permission to replace certain words with words of their own tribe when they found these words difficult to pronounce in the dialect of the Quraish. Hence, there was no change in the Qur’aan according to the different dialects, and it was a mere concession granted to certain tribes. However, when this concession was leading to the Qur’aan being lost or destroyed, then the concession no longer remained and it was agreed upon by the Sahaabah (radhiyallahu ‘anhum) that the Qur’aan would have to be recited according to the original dialect of the Quraish.